Home to the second longest wooden pier in California, Seal Beach is a pleasant, family-friendly community with a small-town charm. Residents can spend the day relaxing along the coast, taking in oceanic views from the pier, or exploring the unique shops on Main Street. With more than 140 businesses lining its street, Main Street is the go-to for delicious local cuisine, exciting nightlife, one-of-a-kind shopping, and more. Find some of the latest styles in women’s fashion at Joie de Vivre or SB Shoppe. Then pick something up for the kids at Baby Boomer. Once you’ve loaded up the car, stop into 320 Main for some New American-inspired plates. Serving everything from a savory 20-oz. Duroc pork chop with cauliflower couscous and bacon jus to a classic all-natural beef burger, you’re sure to find something to satisfy your palate at 320 Main. Whether you live in Seal Beach or you’re just visiting for the day, this beach community is a great alternative to the busy and often crowded beaches found elsewhere in Southern California. 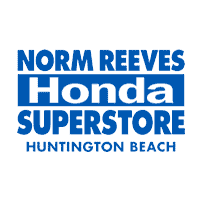 Helping you and your family explore the areas and shores around you, Norm Reeves Honda Huntington Beach is proud to offer you a quality selection of vehicles that you and your family can rely on. Our Norm Reeves Honda Huntington Beach has been helping families from across the area find and drive home quality vehicles for years. Youll enjoy our personalized service, fair prices, and relaxing atmosphere. At Norm Reeves Honda Huntington Beach, we’re here to help you find a quality pre-owned vehicle for a great price at your local Seal Beach used car dealer. Our sales consultants are available to guide you through our inventory and schedule private test drives. Meanwhile, our dedicated finance department will work with the banks and local lenders to secure the credit you deserve so you can drive home in a great pre-owned vehicle today. And when you’re ready for your first oil change or any other maintenance or service, you can trust the trained automotive technicians in our service department. With years of experience and professional training, we can help keep your car running at its best. Our beautiful showroom is just a short drive south of Seal Beach and is easy to get to. Simply head south on CA 1 and turn left onto Seapoint Street (about 6 miles down). From there, turn right onto Garfield Avenue and then another right onto Beach Boulevard. We will be right there on the right side. If you’d like detailed directions to our location at 19131 Beach Blvd, feel free to use the interactive map on our website. While you’re there, be sure to check out our inventory of high-quality used and certified pre-owned vehicles. We’d be more than happy to help you set up a test drive with one or more cars that you’re interested in. Call us today at (888) 405-0115 or schedule a test drive online.